WASHINGTON — Buddy Brown was supposed to fly a mission over Cuba that day. It was called off. 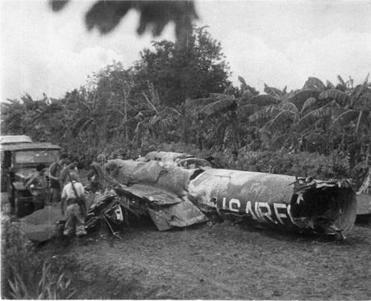 The flight of his friend and fellow U-2 pilot, Major Rudolf Anderson Jr., was not. So as Brown went golfing with other fliers, his eyes frequently scanned the skies. Rudolf Anderson’s plane was shot down on the 12th day of the 13-day Cuban missile crisis. Fifty years after the Cuban missile crisis pushed the Soviet Union and United States to the brink of nuclear war, many of the key players are well known: the cool-headed President John F. Kennedy who faced down his hawkish generals; the seemingly diplomatic and then recalcitrant Soviet leader Nikita Khrushchev; the dealmaking US Attorney General Robert F. Kennedy whose back-channel negotiations ultimately led to a peaceful resolution of the crisis. 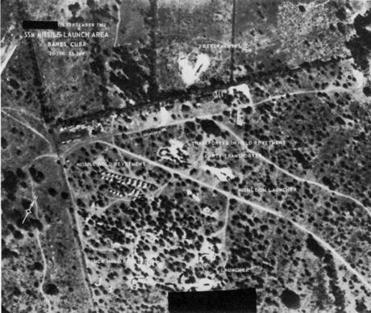 A largely forgotten hero was the 35-year-old Anderson, who snapped some of the most definitive spy photos over Cuba before he was killed 50 years ago Saturday when a Soviet commander ordered a battery to fire on his plane high over Banes in eastern Cuba. Anderson was the only military casualty of the crisis. Washington and Moscow, which by then had been engaged in nuclear brinkmanship for well over a week, were seeking a face-saving way out. The shootdown of Anderson, who left behind a pregnant wife and two sons, underscored how quickly events could spin out of control. It served as a catalyst to cut a deal, according to several people directly involved in the crisis. Spy photographs taken by Rudolf Anderson and his fellow pilots were presented to President Kennedy during briefings. “This incident pushed the two sides forward, assuring them it was too dangerous,” said Sergei Khrushchev, then a 27-year-old working for the Soviet Navy and living with his father, the Soviet leader, in Moscow. The Soviet leadership claimed it had not ordered the shootdown. In fact, they had told the Americans they would not fire on US planes unless their forces on the island were attacked first. Anderson’s hometown of Greenville, S.C., plans to mark the 50th anniversary of his death on Saturday when officials unveil a new memorial. The keynote speaker will be former Maryland lieutenant governor Kathleen Kennedy Townsend, the eldest child of Robert Kennedy. Indeed, two days earlier, as some of the U-2 photos of the nuclear missiles were being shown to the world at the United Nations, a mission flown by Captain Gerald McIlmoyle over the same area was targeted by two missiles that exploded above his plane. “They kept it secret from the American people, but Andy knew,” said McIlmoyle, now a retired brigadier general who will be speaking at the unveiling of the memorial. Anderson was the only military casualty of the crisis. Also on hand will be members of Anderson’s family, including his three children: Rudolf III, who was 5 when his father was killed; James, who was 3; and Robyn, who was born a few months later. Anderson is also survived by a sister, Elizabeth Martin, and three grandchildren. Anderson’s death was especially hard on his wife, Jane, recalled Brown, who knew both of them well. “She passed away from heartbreak, I believe,” he said of Anderson’s widow, who died in 1981. By the time of the crisis, Anderson was an accomplished combat pilot; a decade earlier in the Korean War he had earned a Distinguished Flying Cross, one of the highest decorations for military aviators. 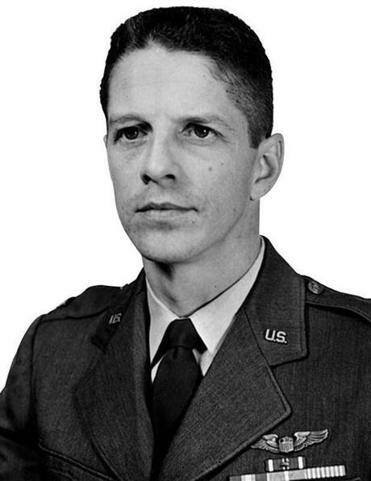 He became a member of one of the most elite group of pilots when he started flying the U-2, second only to the Mercury Seven astronauts at the time. There were about 30 members in the original squadron; they flew at upwards of 75,000 feet, in the outer reaches of the atmosphere. Like astronauts, they had to be outfitted with specialized suits designed by the David Clark brassiere company in Worcester that automatically expanded to tightly shield the pilot’s body in the event there was a loss of pressure in the cabin. The shootdown of Anderson over Cuba — it was his sixth pass over the island, more than any other U-2 pilot — took place on what came to be known as “Black Saturday,’’ the 12th day of the 13-day crisis. A US warship had already been forced to fire warning shots at a Soviet ship that appeared to be trying to run a US blockade of the Caribbean island, and US officials were trying to decipher what appeared to be conflicting messages from their Soviet counterparts. An already tense White House received the news at 4 p.m.
“A U-2 was shot down?” President Kennedy repeated when informed by Secretary of Defense Robert McNamara, according to tape recordings released by the National Archives. “Was the pilot killed?” asked his brother, the attorney general. The discussion turned to retaliating against the site that fired the missile at Anderson. “How can we send a U-2 fellow over there tomorrow unless we take out all the [surface-to-air missile] sites?” Kennedy asked. The president ultimately used the downing of Anderson to give Khrushchev an ultimatum, telling him that “strong and overwhelming retaliatory action would be taken unless he received immediate notice that the nuclear missiles would be withdrawn,” Robert Kennedy recalled later. Dino Brugioni was providing the briefings for the president and his advisers using spy photographs taken by Anderson and his fellow U-2 pilots. “There was every indication we were moving close to nuclear war,” Brugioni, now 90, recalled in an interview. “Khrushchev hadn’t been seen in three days. They were digging trenches on the island [in preparation for a US invasion.] The Russians were burning classified material at their embassies. Our planes were loaded with nuclear weapons. “I told my wife that if I called she should pack the kids and drive to Missouri,” he added. Brugioni, who was working for the National Photographic Intelligence Center in Washington, said he believes Anderson’s death changed the trajectory of the crisis. 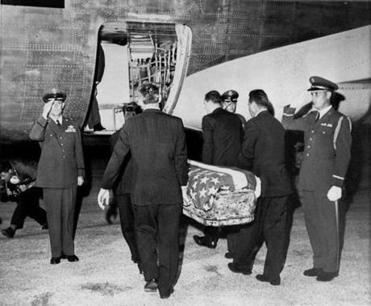 McIlmoyle recalled that when President Kennedy came to thank the pilots after the crisis he shared his condolences about the loss of their friend. Bryan Bender can be reached at bender@globe.com. Follow him on Twitter @GlobeBender.